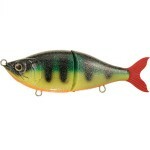 This tail bait has won some prestige competitions in Sweden, catching numerous 100+ pike. 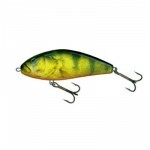 Brunnberg Lures is well known to deliver high quality baits and you can tell by the finish that these baits will withstand the teeth of both northern pike and musky. 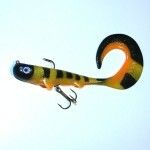 BB-tail weighs 100g and measures 23cm long and 30mm wide. Category: Featured, Lure Videos, and Tailbaits. Tags: BB-tail, brunnberg lures, Hand made lure, lure video, and underwater video.